BEST Save the Dates Ever!! !I am SOOO happy I found New and Blue while browsing the internet. I was struggling for a while to find the perfect site to customize my own Save the Date magnets. Not only was New and Blue the BEST price out there, but their Customer Service is FANTASTIC. I usually don't post reviews so the fact that I am doing so now means a lot. All of the Customer Service Reps wanted to make sure that I was more than happy with my order. They patiently helped me make my magnet perfect. They even sent me 3 free magnets in the mail, with different features on each so that I can look at it in person and pick the one I loved most. 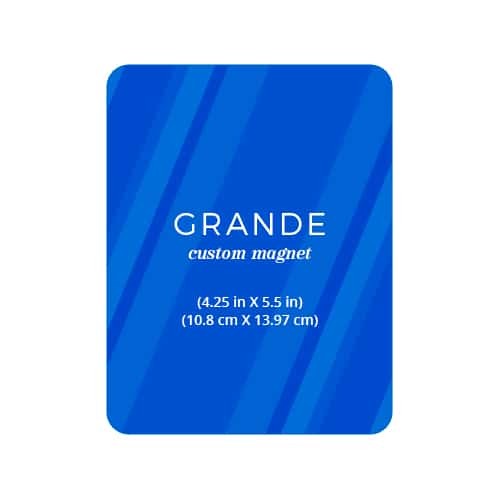 Production and shipping were very fast and all of my guests were so happy to receive the magnets. I have to add, the magnets are not cheap. They are VERY strong to the point where its hard to take them off the fridge. So I know they will never fail in the future. I am really happy with my purchase and I hope to use New and Blue again!